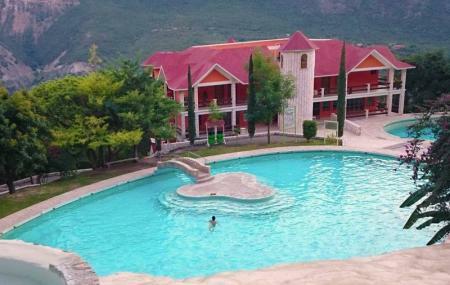 A beautiful aquatic centre in Grutas, this place has served as a tourist park for several years now. It is a large ecological zone with various hot springs and baths. Situated at a distance of about 150 kilometres from Mexico City, it is a great place to get rid of the hustle bustle of the city and take a break from the crowd. It is a great place to go with your kids and family to enjoy. You can also ask the localites and find the best times to visit when it is not very crowded if you are looking at some time in solitude. Make your visit suitable to your interest, use Cardonal trip planner for personalization. Add accommodation and hotels in Cardonal that suit your budget including the most recommended ones like Hotel Avenida Cardonal. Curated Cardonal vacation packages await! Book the best ones and start turning your dream into reality.Discover various ways for how to reach Cardonal and complete the booking by choosing your mode of transport. Love this? Explore the entire list of places to visit in Cardonal before you plan your trip. Fancy a good night's sleep after a tiring day? Check out where to stay in Cardonal and book an accommodation of your choice. This is a very magical place. The caves and tunnel were amazing, geological wonders. Warm mineral rich water shooting down into a cave. Stand under that and tell me you don't feel cleansed on a spiritual level! This is a pretty cool place to hang out for the day and is worth the trip. This is a paradise! But it takes about 4 hours to get there from CDMX. Better to stay one night in the local hotel. But water is warm the year around. I loved this place! Beautiful nature and very beautiful and friendly people! Even though I didn't speak any Spanish I was still able to somehow communicate with them! Recommende to visit this place! Nice warm thermal water in an overwhelming desertic valley with some spectacular views. The facilities there, i.e. the hotel rooms, restaurants and restrooms are quite simple and rustic but clean and people are nice and friendly.